With the holiday season in full swing it’s coming down to crunch time for those looking to round out or fulfill their wish lists. In the event that you’re done looking for gifts this Christmas season it’s still a great time to purchase, as nearly anything tech related is going to be on sale trying to draw customers in. With the media daily reporting doom and gloom for retailers this seems to be a great time to buy as they are desperate for sales. With that in mind, we decided to take a couple of the very best bang for the buck cards on the market and pit them against each other. Today we are taking look at one of the best cards that we have come across for gaming performance, the Diamond 4870 1GB. We have covered the 4870 512MB version of this card and saw that it was a stellar performer and was a great step in the right direction for ATI/AMD. The only problem with a 4870 512MB is that at higher resolutions and with the eye candy cranked up, the smallish frame buffer starts to limit what the card can do and quickly succumbs to its competition, the GeForce GTX 260 series. 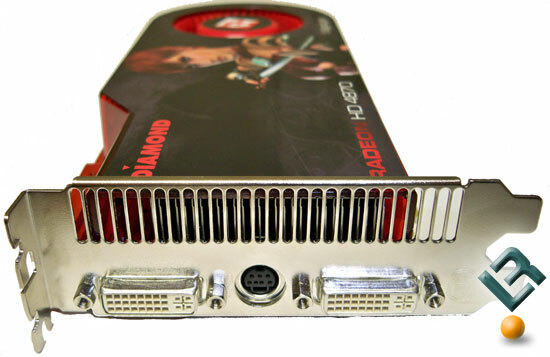 In order to compete at higher resolutions and eye candy levels, Diamond has outfitted a run of the mill 4870 with an additional 512MB to bring the total to 1GB of video memory! This makes the 4870 1GB the only relevant card outside of the GeForce GTX 280 that has a full 1GB frame buffer dedicated to a GPU. We say relevant because we have seen cards with a 1GB frame buffer before that made almost no difference at all, and in at least one case actually made the card slower than one with 512MB. Those of you following the GPU wars this week probably noticed that ATI released their 8.12 series drivers with a number of enhancements, including speed increases in some of the latest games, as well as ATI Stream Computing updates. We are working on a full write up on the Stream Computing updates, but today we are going to focus on these beauties from Diamond and just what kind of gaming bliss you can get for under $300. If you need more information on what the heck the HD 4800 series is all about, just check out our preview here. You can see in the photo at the top of the page that Ruby is pointing her sword toward the text, showing that this card does indeed have 1GB of memory. Lurking under the red heat sink and fan combo, you’ve got the 4870 core clocked at 750MHz, while the GDDR5 memory is clocked at 3.6GHz. 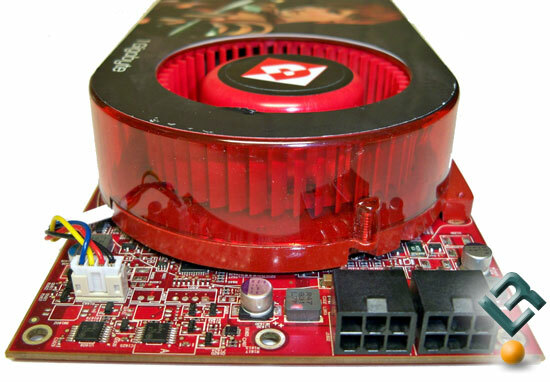 In this photo you can see the dual PCI-E power connectors this card requires to operate properly. When it comes to power supply needs, ATI recommends a 500w PSU for a single 4870, and a 600w for two in CrossFire. Connecting this card to a monitor is the same tried and true hardware ATI has been using for years, a pair of Dual-Link DVI connectors with S-Video style out that will allow you to hook up a number of video out sources via component, composite, or S-Video. There are plenty of things on the back to knock off the card to turn it into an extremely expensive paperweight, but not much else to talk about. This photo is the best way to see the two links you would use for CrossFire and CrossFireX, only one of which is required for standard CrossFire connectivity. Let’s take a look at our test system!